The Annual County Governments Budget Implementation Review Report has indicated that only three counties reached and exceeded their target revenue collection for the 2017/18 Financial Year (FY). The counties include Tana River, Migori and Kwale at 188.8 per cent, 111.1 per cent and 100.5 per cent respectively. The county governments were expected to generate own source of revenue amounting to Ksh49.22 billion in total. However, the counties fell short of Ksh16.73 billion, collecting Ksh32.49 billion which was 66 per cent of the annual target. The counties collected almost the same amount in 2016/17 FY, amounting to Ksh32.52 billion. The aggregate budget estimates for the 47 County Governments amounted to Ksh410.1 billion comprising Ksh271.32 billion (66.1 per cent) for recurrent expenditure and Ksh139.18 billion (33.9 per cent) for development expenditure. In order to finance the budget, county governments were allocated Ksh302 billion as the equitable share of revenue raised nationally and Ksh27.27 billion as total conditional grants from the national government and development partners. Additionally, county governments were expected to utilise the projected cash balance of Ksh25.75 billion from FY 2016/17. However, the total revenue available to the County Governments in FY 2017/18 amounted to Ksh387.09 billion which comprised of Ksh302 billion as equitable share of revenue raised nationally, Ksh4.2 billion grant to Level 5 Hospitals, Ksh900 million for Foregone User Fees, Ksh2 billion for rehabilitation of youth polytechnics, Ksh10.26 billion from the Road Maintenance Fuel Levy Fund, Ksh7.54 billion from development partners, Ksh1.95 billion under the Kenya Devolution Support Programme “level 2” grant, Ksh32.49 billion as revenue raised from own sources, and Ksh25.75 billion as cash balance from FY 2016/17. During the period, the Controller of Budget (COB) authorised withdrawal of Ksh324.12 billion from the County Revenue Funds to the various County Operational Accounts. This amount comprised of Ksh251.96 billion (77.7 per cent) for recurrent expenditure and Ksh72.16 billion (22.3 per cent) for development activities. The County Governments that received the highest amount of funds for operations were; Nairobi City at Ksh21.13 billion, Kiambu at Ksh11.92 billion, and Kakamega at Ksh10.97 billion. Those that received the lowest amounts were; Tharaka Nithi at Ksh3.78 billion, Isiolo at Ksh3.76 billion and Lamu at Ksh2.36 billion. Of the total amount available, the counties spent Ksh303.83 billion, which comprised of Ksh236.94 billion for recurrent expenditure (87.3 per cent of the annual recurrent budget) and Ksh66.89 billion for development expenditure (48.1 per cent of the annual development budget). This expenditure was 74 per cent of the aggregated annual county governments’ budgets. 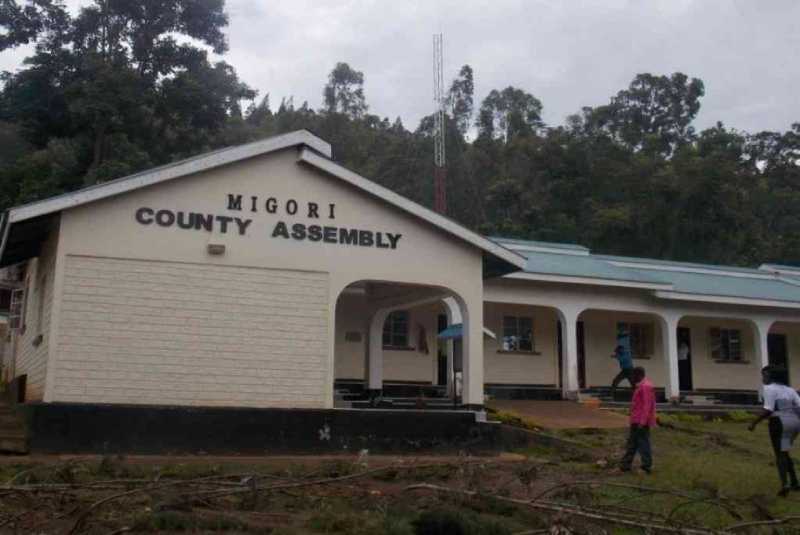 Vihiga counties recorded the lowest overall absorption rates at 59.3 per cent, 53.7 per cent, and 48.5 per cent respectively. Analysis of development expenditure indicates that, Mombasa, Marsabit, Kilifi and Murang’a counties reported the highest absorption rates of development expenditure at 76 per cent, 74 per cent, 73.1 per cent, and 72.5 per cent respectively. as a percentage of total development expenditure to the approved annual development budget. Analysis of expenditure by economic classification shows that Ksh151.09 billion (49.7 per cent) was spent on personnel emoluments, Ksh85.85 billion (28.3 per cent) on operations and maintenance, and Ksh66.89 billion (22 per cent) on development activities. However, three counties, namely; Kilifi, Marsabit, and Mandera reported expenditure on personnel emoluments within the maximum allowed limit of 35 per cent of their total expenditure at 33.8 per cent, 28.7 per cent and 24.9 per cent respectively. Counties with the highest percentage of personnel emoluments to total expenditure were; Machakos at 65.3 per cent, Taita Taveta at 64.4 per cent and Meru at 63.9 per cent. Comparison of total expenditure as a percentage of the total amount authorized for withdrawal indicated that, Nairobi City, Mandera, Murang’a and Laikipia incurred higher expenditure than the amount authorized for withdrawal by the Controller of Budget. The report identifies key challenges that hindered effective budget execution by the counties. They include high expenditure on personnel emoluments, delay in submission of financial reports by county treasuries to the Controller of Budget, under-performance of own source revenue collection, high level of pending bills at Ksh108.41 billion by the end of the financial year, frequent IFMIS downtime, delay in the establishment and operationalisation of the internal audit committees and weak budgetary control by the county treasuries. The report recommends that county governments should establish optimal staffing levels to ensure expenditure on personnel emoluments is within the set limit of 35 per cent of the county’s total revenue as provided in Regulation 25 (1) of the Public Finance Management (County Governments) Regulations, 2015. Further, the 336-page report recommends that county treasuries should develop and implement strategies to enhance own source revenue collection, and also ensure compliance with the PFM Act, 2012 on submission of financial and non-financial reports to the Controller of Budget.